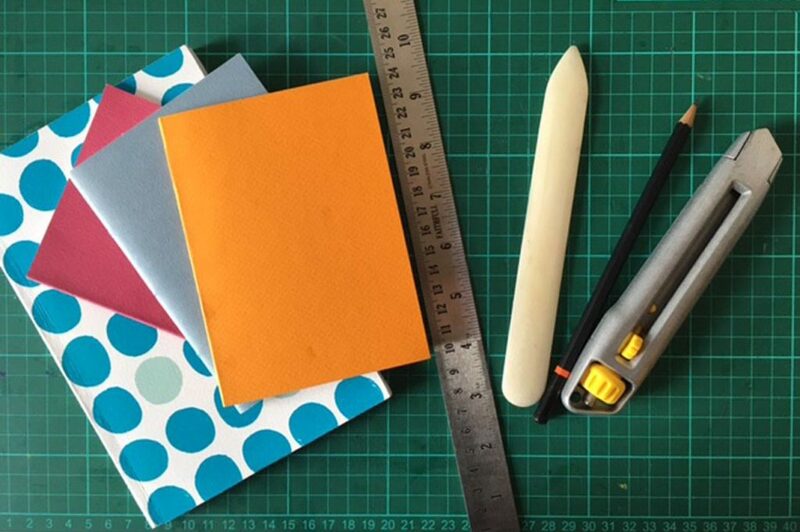 On this 3 week evening course you will learn how to use the tools, materials and techniques to get you started in bookbinding. You’ll make a variety of different small books from scratch including pamphlet stitch, Japanese stab binding, a hardcover book and concertina books. The course will be taught in a step by step way and you’ll learn some simple gluing and stitching methods you can continue with at home. This course is for absolute beginners or ideal for someone looking to brush-up on their existing bookbinding skills. Those who have a creative practice may wish to learn some simple techniques to add a new process to their skills. All tools and materials are provided, along with a set of technical notes. If you have any papers of your own you wish to use then feel free to bring them along to use on the day. Refreshments will be provided.